Der Artikel Kathryn Wichelns: Henry James's Feminist Afterlives wurde in den Warenkorb gelegt. Ihr Warenkorb enthält nun 1 Artikel im Wert von EUR 26,17. 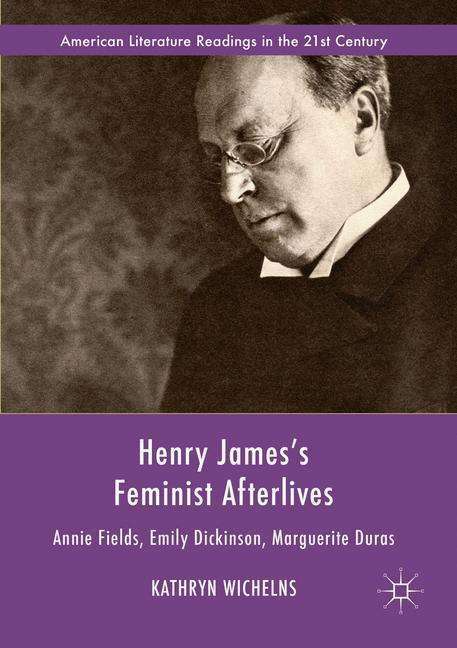 This book explores Henry James's negotiations with nineteenth-century ideas about gender, sexuality, class, and literary style through the responses of three women who have never before been substantively examined in light of their relationships to his work. Writing in different times and places, Annie Fields, Emily Dickinson, and Marguerite Duras nevertheless share complex navigations of womanhood and authorship, as well as a history of feminist scholarly responses to their work. Kathryn Wichelns draws upon James' correspondence with Fields, as well as Dickinson's and Duras's revisions of his fiction, to offer a new understanding of gender-transgressive elements of his project. By contextualizing his writing within a diverse set of feminist perspectives, each grounded in a specific time and place, as well as nineteenth-century views of queer male sexuality, Wichelns demonstrates the centrality of Henry James's ambivalent identifications with women to his work.